Have you ever thought about how to market to men on Pinterest? Do you think that Pinterest is just for women? Jeff Sieh, owner of Manly Pinterest Tips, and I talk about how there is place for men on Pinterest, and how you should be marketing to them. Jeff had been running his digital marketing agency for several years when he decided to venture into creating an online presence. He started blogging, and even though it wasn’t huge, he was seeing some traction. After hearing a podcast in 2013 that talked about Pinterest, Jeff decided to try it for himself. And lo and behold, it worked! Once Jeff started picking up steam, he flew to success. He began by writing a blog post about sharing a secret Pinterest board with his daughter, and has since done multiple episodes of two different shows on Google+ – Manly Pinterest Tips and The Manly Show. Jeff currently hosts a podcast called The Manly Pinterest Tips Show, which led to speaking engagements, which then led to his position with Social Media Examiner, where he is responsible for all of their Instagram and Pinterest marketing. It took Jeff a long time to see the value of converting his personal Pinterest page to a business account, but it has made a huge difference in his growth. With a business account, you are able to see all of your analytics, and without those, you will never know how well your page is performing. It’s not a scary change, so do it today! When Jeff first got started on Pinterest about 3 years ago, his feed was filled with nail art and hair braiding tips. The good stuff for guys was there, like “manly” recipes and camping tips, but he had to really search for it. Men are visual creatures, so it only makes sense that Pinterest would be a great fit for them. It’s also super simple; just click “save” and you’re done. For men, who want to “get ‘er done”, Pinterest’s friendly search engines are fantastic. Recipes, handyman helps…they are all just a click away. People use Pinterest for the value it adds to their life. Nobody wants a thousand bookmarks on their computer; their Pinterest page acts as a placeholder for what they want to save. If you provide value, people will find you and they will follow you. How many men actually use Pinterest? As a general rule, women make up 80% of Pinterest users, with men picking up the other 20%. Male users are the fastest growing demographic on Pinterest, so if you are a brand that markets to men, you really need to develop a Pinterest strategy. If you want to see a company that is absolutely killing it in the “marketing to men and women” department, take a look at The Grommet’s Pinterest page! If you are targeting men in your business, take a look at some of the companies that are marketing to men on Pinterest and see how they’re doing it. What do their Pins look like? What kind of descriptions are they writing? How often are they Pinning? What board titles are they using? How many boards do they have? Use pictures of men doing stuff! Pin pictures of men actually using the product. Try different types of Pins and see which kind works the best. Product Pins along with more general Pins. Use Promoted Pins to get your campaign out there. The sooner you learn and begin using Promoted Pins, the better off your business will be. If you struggle with photography, or your product needs video to really see how it works, you can Pin videos directly to your Pinterest page. Keep them on the shorter side, and practice practice practice! The more you practice with video, the more comfortable you get. 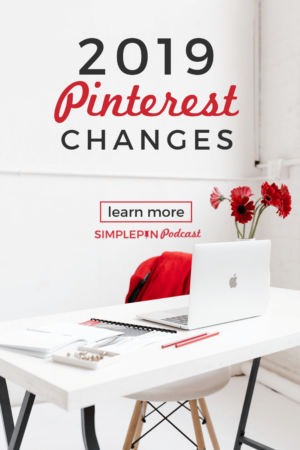 It can have definitely long term benefits for your Pinterest and your blog. But if you just need help with getting better images for your Pins, consider hiring a designer to make templates for you. Once you have a few templates made, you can just drag and drop your photos in there. Not only does this save you time, but you also get a branded look for your images. If you absolutely can’t afford to hire someone, then just start! Start taking pictures and learn as you go. Work hard to get better. Nobody is good at everything, so if images are not your thing, it is worth it to hire it out. You have to remember that women make up 80% of Pinterest users. So it’s important to keep in mind who your market is. If you are targeting men, and you are Pinning lingerie models, more than likely the 80% of women users will hate it when it shows up in their Smart Feed. You need to be appropriate and tasteful. Also, think about your audience. Are your Pins current? Are they useful? Your followers don’t want old, outdated information. You need to be providing value. Why is Pinterest a profitable idea for men? They are searching to buy things. In general, people on Pinterest have more money to spend. Men make decisions. They do their research, but when they decide to buy, they buy. Pinterest has made it even easier with their new Buyable Pins option. Here’s an example of a Buyable Pins page, with a search for camping equipment. Have only the boards that you will Pin to; if you go awhile without Pinning to a certain board, then move those Pins to another board. Make your Pins things that you really want to share. Don’t make a board public until it has at least 10 Pins on it. Use a product like Tailwind to monitor your boards. Add more content to the boards that are doing well. People want to do business with another person, not a company….let your personal side come through in what you do. The more you can share with your audience, the more they will know, like, and trust you. Share you thoughts. How do you market to men on Pinterest? 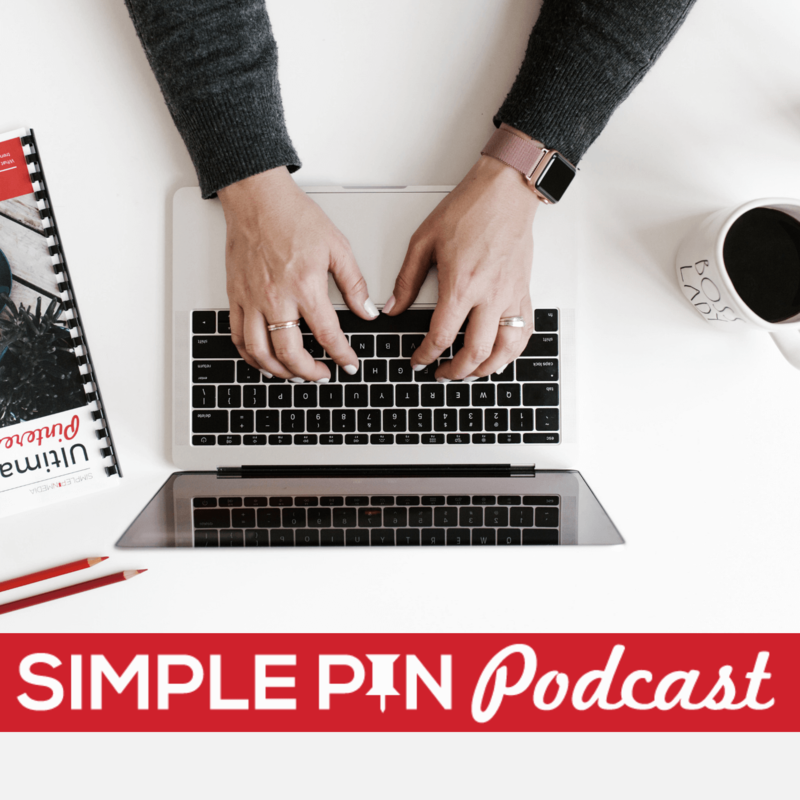 Listen to more of Simple Pin Podcast episodes here. Thanks so much for having me on your show Kate! You bet! You’re welcome back anytime!